Of course it is brain dead, that's why I can afford it. I'm looking to find a source of information or documentation for axis orientation and general operation of CNC lathes. If you guys that know about this side of machining could point me to a book, document or website it would be greatly appreciated. 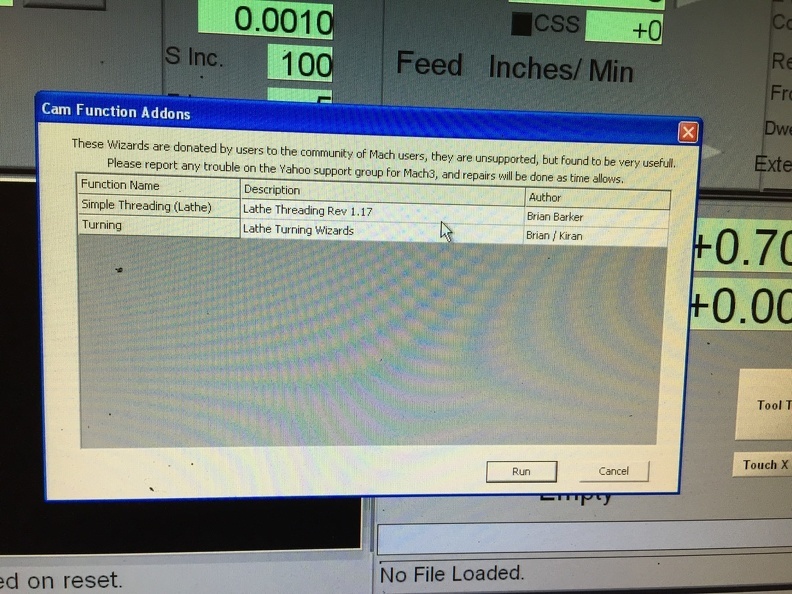 Are there lathe users using UCCNC? if not, which control would you suggest? Based on the priorities of development there may never be a true lathe module. The user base is just too small. 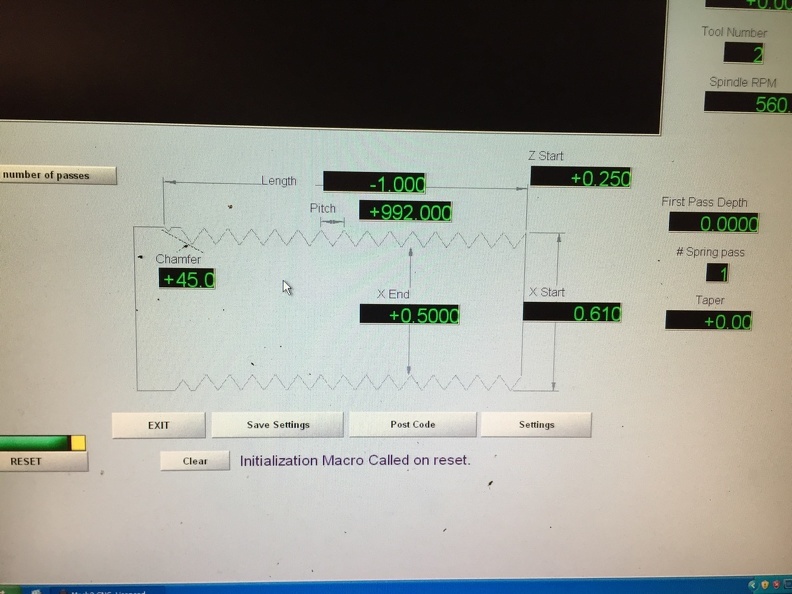 There are attempts being made by users to make some workarounds with macros but that probably isn't going anywhere until there is some way to have tool offsets in the Z and X axis. I use Mach3 turn and I can make decent parts with it. The linux cnc is also an option. You can always buy a UC motion controller, and use mach3 for the time being, and then uccnc in the long run. Choose your motion controller carefully that is all I can say. It will probably take more time for us to come out with a lathe version of the UCCNC than the time you want to wait with your lathe project. The UC300ETH already has a Mach4 plugin for I think about 2 months now and the Mach4 plugin for the UC400ETH was also released about a week ago. So, all of our motion controllers already support the UCCNC, Mach3 and Mach4. 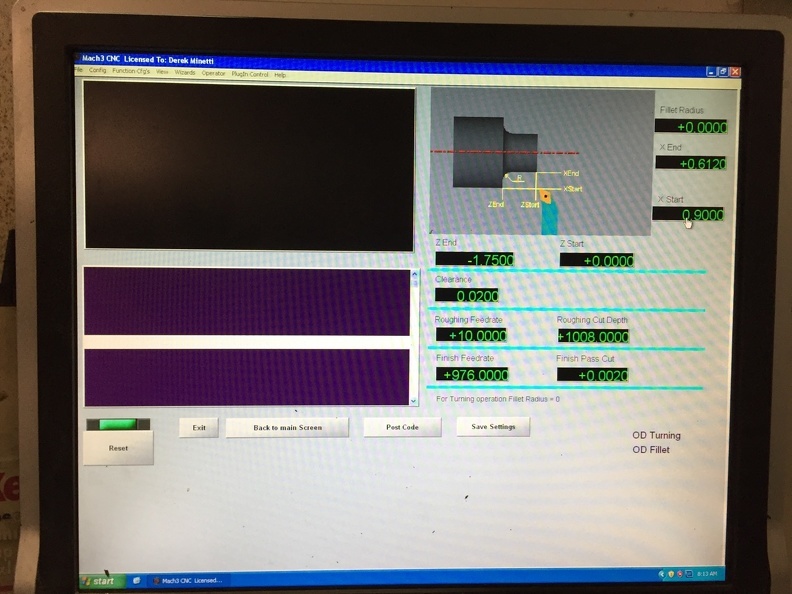 However with Mach4 basicly the only thing which non of our motion controllers support at the moment is thread cutting, so it is not an option now for lathes. Gary, there you go.... I'd go uc300eth and you've got your bases covered! FYI the UC-300 plugin breaks some of the input DROs in the built in turn wizards. They must share the same numbers or something. I never bothered to report it since I was hoping on getting UCCNC lathe to work and then I just ended up going back to Mach and the PP. Ultimately I wanted the UCCNC for encoder feedback threading. Simple threading pitch DRO same problem. There may be others but I quit trying and rolled back to the PP. It is probably bugs in Mach3, because as far as I know plugins generally do not have access to DROs on wizards like this. You can easily change the DRO numbers in a screen editor, and edit the VB code using Operator > Edit Button Script, and clicking the Post Code button. I don't have my UC300ETH connected, but I have the UC300ETH plugin installed, and I don't see what you are seeing when I just tried the wizard. If it is someking of Mach3 bug then it could be Mach3 version dependent. Maybe you have a different version of mach installed than what Derek has. I did not try the wizard yet though with any versions yet. Good info, even tho it will take me a while to digest. I have a couple UC400eth controllers and a UC300eth (plus UB1) on the way. I think that I omitted the "wood" portion of "lathe" in my original post. I do not think this machine would be robust enough to perform metal turning. I also am not sure that I care to throw oats at any of the Mach products. Short of threading, I see no reason that for game call type turning that anything one would want to do could be done with Cut2D posted to UCCNC. I'll let you know once I get the thing up and running.